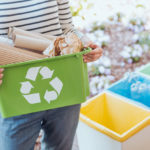 Are you looking for more ways to go green? So many people prefer to leave as small a carbon footprint as possible, driving hybrid cars, recycling, and taking care of their environment, yet want to do even more. Does that sound familiar? 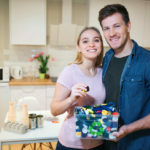 If so, you can easily live in an ecologically sound home with these eco-friendly apartment decorating ideas. Switch to sustainable materials. If you’re looking for new furniture, be sure to check from where it’s sourced. Bamboo is a great material that looks clean, elegant, and is completely sustainable. Another option is soy-based products, such as soy candles. Finally, hit antique and thrift stores instead for gently used and beautiful pieces for your apartment. Try organic fabrics. Decorating with throw pillows helps tie together a room, and using organic cotton pillows gives a green feel while still being elegant. You can also use hemp fabric for a natural look in a variety of organic dyes. Alternative lighting can be beautiful and eco–friendly. Repurpose your wine bottles as simple and elegant lighting options. 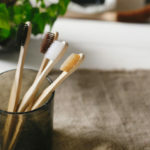 If you’re not a DIY type of person, shop around on Etsy or at a local shop to find crafts that are made from repurposed materials. Also, don’t forget to replace the bulbs in your new lighting with CFLs. Spruce up your apartment with eco-paper. If you’d like to redo your walls with temporary wallpaper, you’ve got plenty of environmentally friendly options to add spots of color and interesting designs to any room in your apartment. Spoonflower has plenty of modern designs that are eye-catching—and if you can’t find one you like, you can design your own. It’s easy and fun to go green, and the beauty of your place can be environmentally attractive, too. 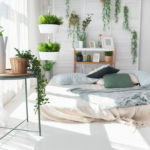 Give your apartment a green makeover with these eco-friendly apartment decorating ideas, and help reduce your carbon footprint with style! If you’d like to learn more about our diverse communities in the Rancho Santa Margarita area, please take a moment to contact us.